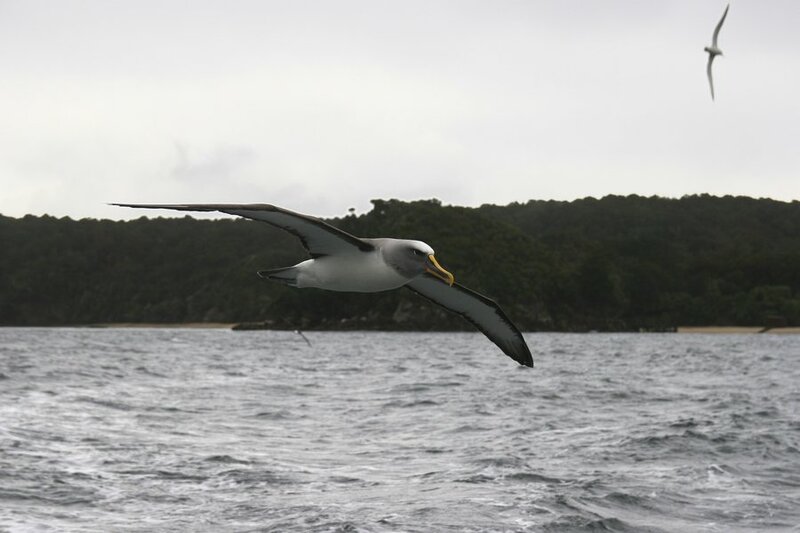 Buller's Mollymauk, a species of Albatross, soaring around Stewart Island in New Zealand. Scientific name: Diomedea bulleri. Photo © copyright by Johnathan Ampersand Esper.